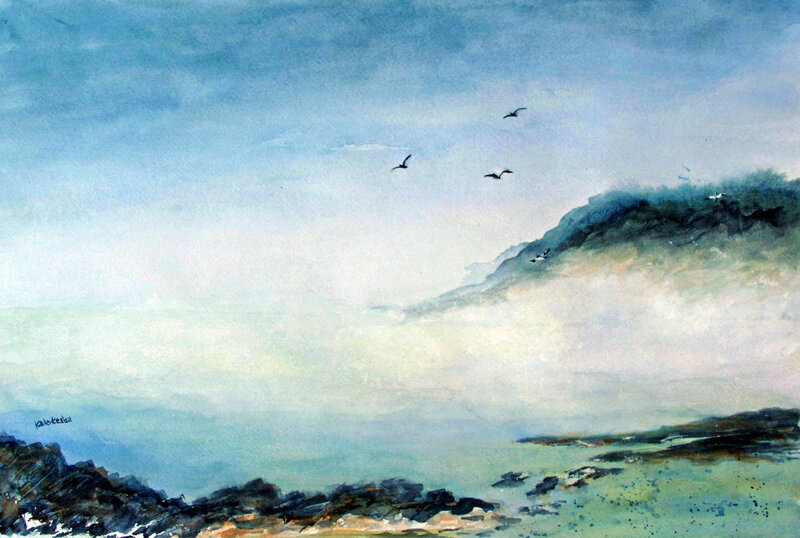 My watercolors reflect a lifelong fascination with the sea and that sometimes invisible, but ever magical line between sky and sea. Growing up in Maryland inspired my love for the ways in which water, land and sky interact, sometimes playfully and sometimes not. The beauty of nature is how it is continually transformed and reshaped by light and time, often in minutes or even seconds. 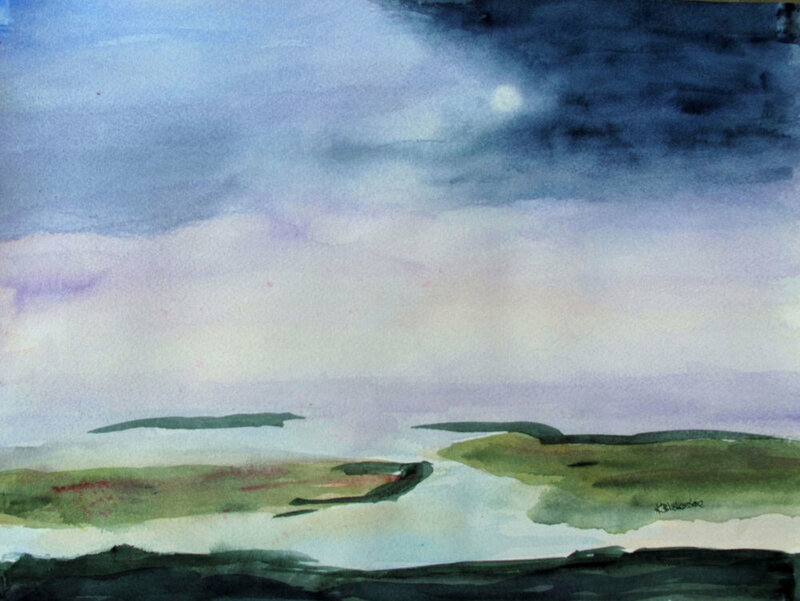 Watercolor’s transparency and translucence captures these mysterious moods beautifully. The challenge of the medium and its attraction for me is that the artist shares creativity with the water and the pigment with none in complete control. The result is a beautiful combination of accident and intention. Self trained as an artist, I am a member of the Foundry Gallery in Washington DC and have my work in private collections in Washington DC, Virginia, Maryland, California, Washington State, and United Kingdom.